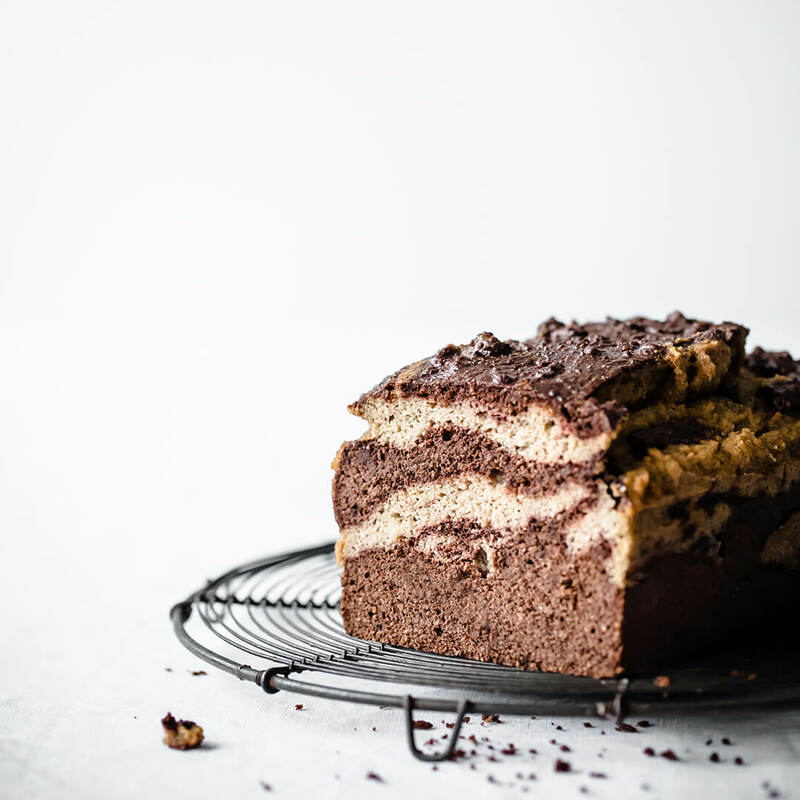 This Chocolate Vanilla Marble Keto Pound Cake is enough like cake to feel like a decadent low carb dessert yet dense enough to pass for breakfast with coffee. 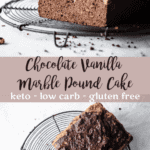 What do you get when you cross low carb bread and a keto pound cake? 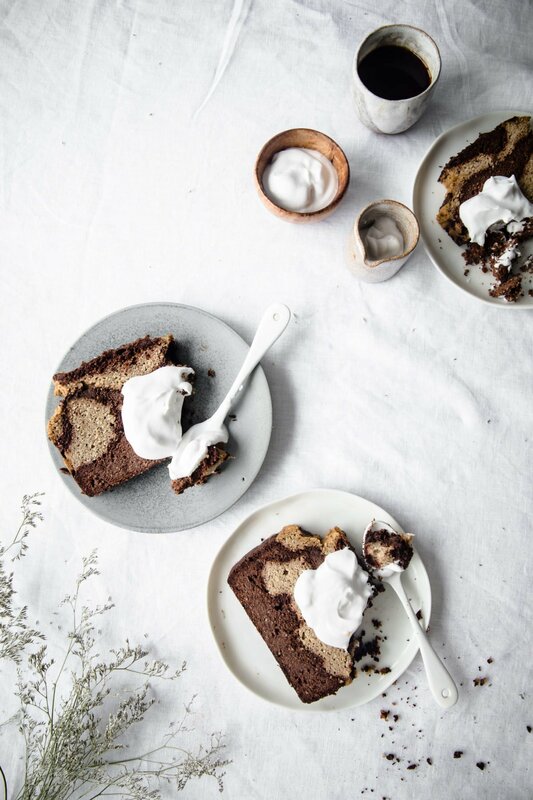 This delectable recipe! Not only is it beautiful to look at, but it is perfectly dense and sweet. 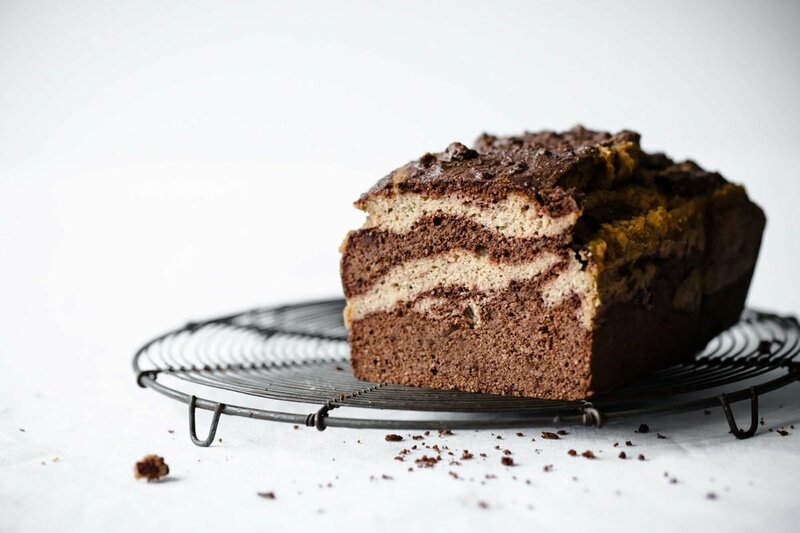 Great for a quick morning breakfast with a cup of coffee, but decadent enough to be a low carb dessert. It’s a little labor intensive, but I promise the end result is worth it. 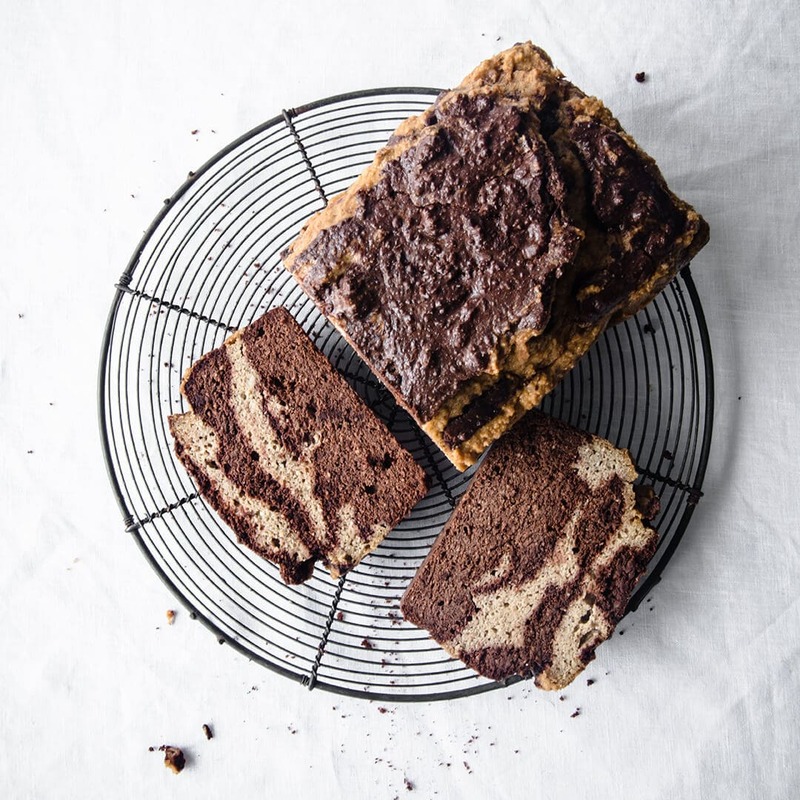 Especially if you are living a dairy free keto lifestyle and are looking for dairy free keto bread recipes or dairy free keto cake recipes. Can I substitute coconut flour for almond flour in this gluten free pound cake recipe? 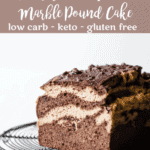 I have only tested this keto marble cake as written. 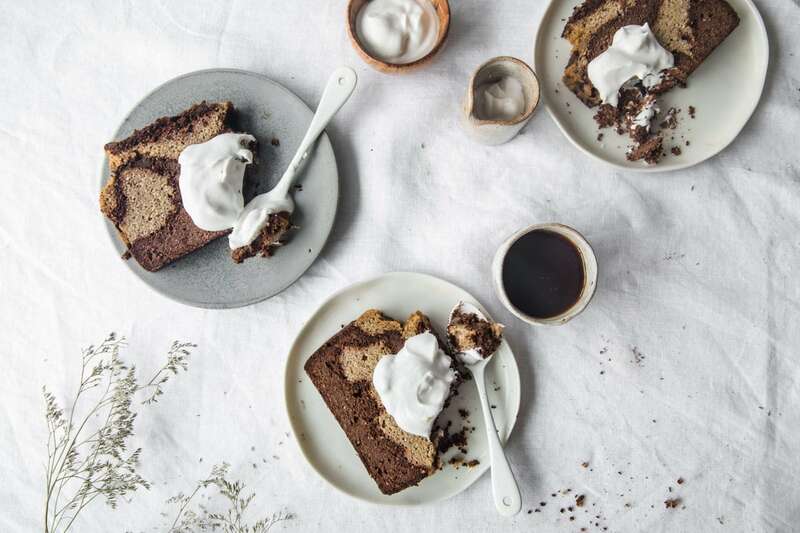 Coconut flour is not a 1:1 substitution. Coconut flour is extremely absorbent, so when substituting coconut flour, it is necessary to add more liquid and more egg. 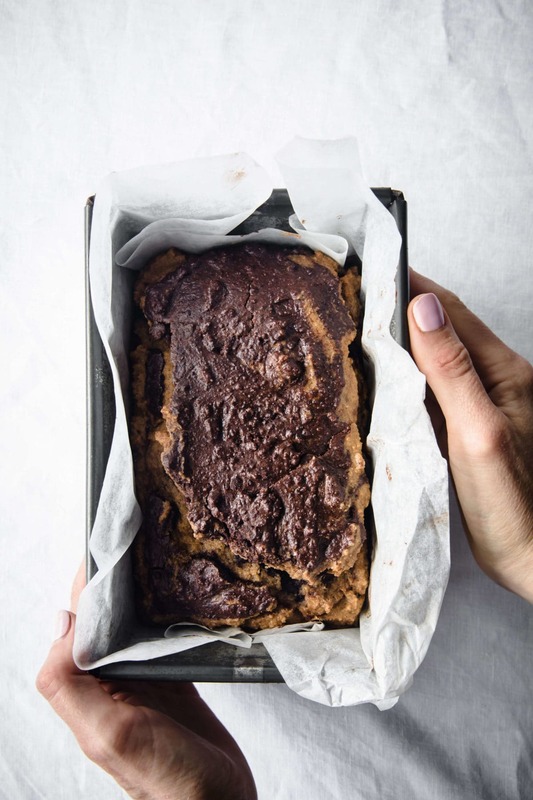 A good rule of thumb is to substitute 1 cup of almond flour with 1/4 of coconut flour and one additional egg for every 1/4 cup of coconut flour. It may also be necessary to double the liquid called for in the recipe as well. If the mixture seems too dry, simply add more liquid, a little at a time until you reach your desired consistency. If your mixture is too wet, add additional coconut flour, mixing in 1 teaspoon at a time until you reach your desired consistency. This recipe is a little more labor intensive than most of the recipes here on Peace, Love and Low Carb, but I promise that it is worth the time and effort. 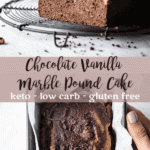 Keywords: low carb cake, keto cake, keto pound cake, low carb pound cake, keto marble cake, low carb desserts, keto desserts. An Easter tradition in my family is to make a pound cake in a lamb mold (2 part cake mold in the shape of a lamb)- I know keto baking tends to be semi-fragile, do you think this holds together well enough when cool to survive coming out of a mold? This looks amazing and I will definitely be making it wether in a mold or not! This was delicious. It did take time to make, but well worth it! This is delicious!!! Does take time but certainly worth it! Yes you were right- it was a lot of fact to make, loads of washing up etc but….. certainly worth the effort! 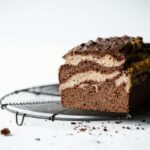 Many thanks for this recipe- my husband will be well happy at tea time now! PS enjoying your Craveable Keto book! Arrived here in France so quickly! The center fell, but it tastes *AMAZING* and is more like a brownie in texture than pound cake, but I consider that a bonus. Definitely going to try again!